Reminder: BRK Annual Meeting Live Webcast starts Saturday, April 30th at 10am Eastern. Always wanted to attend the Berkshire Hathaway Shareholder Meeting? This year, anyone can watch the Buffett and Munger Q&A session live without flying to Omaha, Nebraska. I don’t know if it will be available for later repeated viewing. Charlie and I have finally decided to enter the 21st Century. Our annual meeting this year will be webcast worldwide in its entirety. To view the meeting, simply go to https://finance.yahoo.com/brklivestream at 9 a.m. Central Daylight Time on Saturday, April 30th. The Yahoo! webcast will begin with a half hour of interviews with managers, directors and shareholders. Then, at 9:30, Charlie and I will commence answering questions. 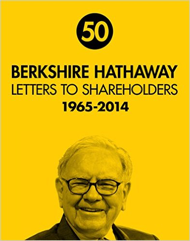 Berkshire Hathaway (BRK) released their 2015 Letter to Shareholders ] over the weekend. As always, the letter is written in a straightforward and approachable fashion. Even if you aren’t interested in BRK stock at all, reading the letter can be educational for individual investors of any experience level. I’m sure many people smarter than me will offer their responses to this letter, but here are my notes. Berkshire share value. As usual, the letter addresses the different ways to value BRK shares. First, there is the market value, as seen on any BRK stock quote. Second, there is the book value, which is an accounting term defined as total assets minus intangible assets and liabilities. 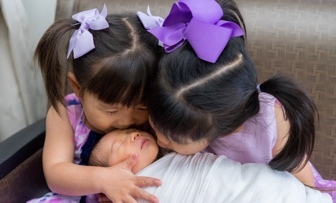 Third, there is the intrinsic value, which is what Buffett believes is the true value. Buffett has repeatedly stated that BRK will buy back shares if the market value drops to 120% of book value. Over time, this asymmetrical accounting treatment (with which we agree) necessarily widens the gap between intrinsic value and book value. Today, the large – and growing – unrecorded gains at our “winners” make it clear that Berkshire’s intrinsic value far exceeds its book value. That’s why we would be delighted to repurchase our shares should they sell as low as 120% of book value. At that level, purchases would instantly and meaningfully increase per-share intrinsic value for Berkshire’s continuing shareholders. This suggests that Buffett believes BRK is worth signficantly more than 1.20x book value. As I write this, the BRK stock is roughly 1.3x book, and it has dropped as low as 1.25x book in January 2016. As a (tiny) shareholder, I also use this as a rough measure of whether the company is under- or over-valued (or out-of-fashion vs. in-fashion). My holdings are mostly meant as a future educational tool for my children. I don’t know how BRK will perform as compared to the S&P 500, but it is great example of a money-making machine. These four investees possess excellent businesses and are run by managers who are both talented and shareholder-oriented. Their returns on tangible equity range from excellent to staggering. At Berkshire, we much prefer owning a non-controlling but substantial portion of a wonderful company to owning 100% of a so-so business. It’s better to have a partial interest in the Hope Diamond than to own all of a rhinestone. Even though the outlooks for AmEx and IBM is not as positive as they were few years ago, Buffett must still view them also as reliable money-making machines. Reading through this and older letters are a great way to learn about important concepts like earnings growth, dividend payouts, and share buybacks. Optimism. A good portion of the letter was devoted to optimism about the American economy. The 2014 Annual Letter discussed the power of owning shares of productive businesses (and not just bonds). The 2013 Annual Letter included Buffett’s Simple Investment Advice to Wife After His Death. Update April 2016. I originally wrote about this promotion in October 2013, and many readers have been getting $20 of interest every month on a relatively low balance (worked out to 16% APY on $1,500 average balance). With a 1% APY savings account, you’d need $24,000 to get the same amount of interest! Unfortunately, Santander Bank recently announced that this promotion will end and accounts will be converted to a Simply Right checking account later this year (reports include either July 1st or December 1st, 2016). I would note that this deal lasted for over 2.5 years, longer than I thought it would. Just like with 5% APY Netspend prepaid cards, you can’t really predict how long deals will last. Some end earlier than you think, some end later. Don’t forget to close your account in July, unless you’ve gotten attached to your Santander account (which was always the idea! ).